What is a sea louse? What do we do at SLRC? 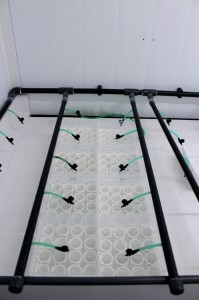 The small incubators are used for selective breeding of salmon louse, evaluation of egg string hatching and development success of planktonic stages. We also use them for RNAi experiments on early stages and various drug efficacy assays. Each rack can hold eggs from 16 females in separate incubators with separate water supplies. 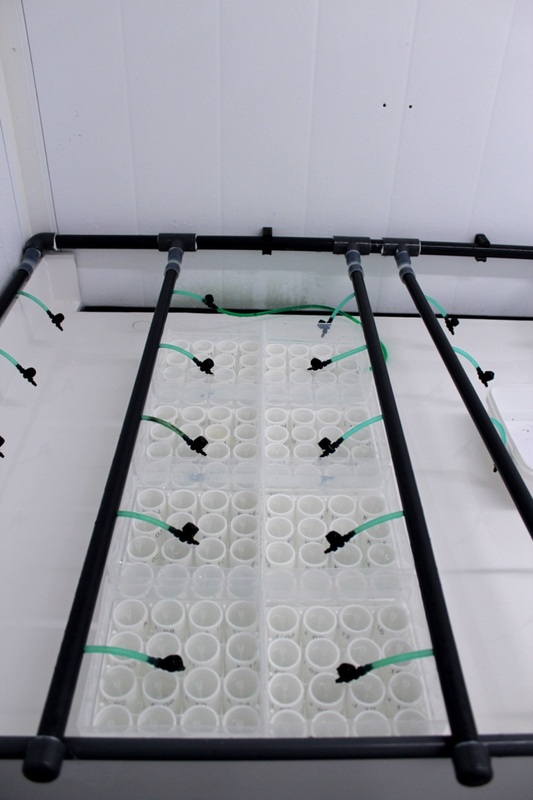 A 0.9×4 meter wet table can hold up to 100 racks, providing a total capacity of 1600 incubators. The water flow is about 20-25ml/min of seawater pr. incubator. The sea water is filtered through a sand filter and a fine filter (20my) before it runs through a column aerator and into a master header tank connected to the water distribution system. Each incubator fit under a stereomicroscope when placed in a petridish with some water. The incubators can be carried in the level tank filled with water. This makes it easy to for instance bring them to the stereomicroscope for inspection of content.